Nemanja Matic has been pulled out of Serbia’s international squad with a reported back-injury, and will soon return to his club to complete his recovery. The holding midfielder has been a crucial presence in Manchester United’s midfield since last season, and this will be viewed as a massive setback for Jose Mourinho. Numerous reports regarding the injury add that he may also be in doubt for United’s high-profile clash against Chelsea on October 20. Besides that, no proper specification is available as to the duration and severity of the problem. The fixture was a crucial one for Mourinho and company, as it would have charted the course for the side for much of this season. 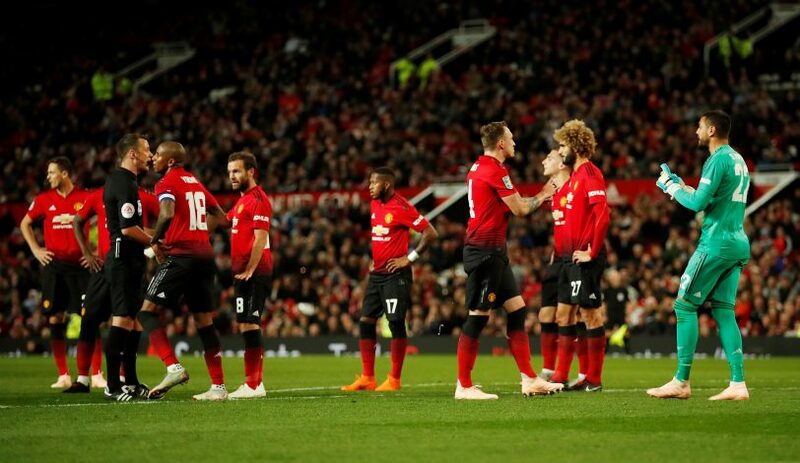 With a run of poor performances, no clarity has existed over where United have been heading, and the recent doubt shadowing their gaffer hasn’t helped matters either. Matic will likely be joined on the sidelines of Stamford Bridge by Luke Shaw as well, with the left-back being pulled out of England’s squad with an injury of his own. Further, with the United lineup looking increasingly uneasy, the loss of Matic doesn’t flatter their prospects. While a recent suspension to the 30-year-old did see the likes of Fellaini fill the spot convincingly, Mourinho won’t be pleased. Besides, this will also mean that a return to his former club will be robbed from the Serb, as the Blues arguably made a huge error by selling him last campaign. At the moment, however, United must reconvene and decide how best to cope with this absence. Mourinho will be best served if he employs this chance to field an experiment at Chelsea. If it fails, the injury list can be his excuse, but if it succeeds, yet another permutation may have opened up for the former Real Madrid boss.